When you discover your room, you make acquaintance with famous men and women like Alphonse Allais, Michel Serrault, Erik Satie, Eugène Boudin, Samuel de Champlain, Françoise Sagan, their stories have crossed the Honfleur’s cobblestones. 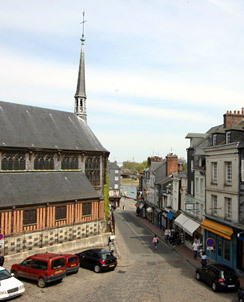 All our rooms are with a bathroom with shower or bath, hairdryer, toilets, television, phone. .
You are in Honfleur. Just out of the hotel, walk between the Vieux Bassin, museums, art galleries or churches…With good shoes, take the Côte de Grace’s direction…the estuary of the Seine’s bay is just in front…the Normandy Bridge welcomes you. From Honfleur head towards "La Côte de Grace" and discover the Seine Estuary tinted by the famous Normandy light with its powerful contrasts which gave birth to Impressionism and inspired Monet, Turner and so many others to some of their more beautiful works. Along the way, meander through the Normandy countryside for a romantic stroll to the accompaniment of Eric Satie's musical poetry. To the West, discover the charm of the seaside resorts of yesteryear. You are only 15 minutes from Deauville and its American and Asian Film Festivals. Continue your tour along the Côte Fleurie via Villers and Cabourg. Only 45 minutes from Honfleur and you are in the middle of the emotion of the History of the Second World War: Pegasus Bridge of Bénouville, the Caen Memorial and the "D-Day" Beaches, theatre of some of the most bloody battles. To the North, take the A29 and cross the Normandy Bridge for an escapade along the Côte d'Albâtre. 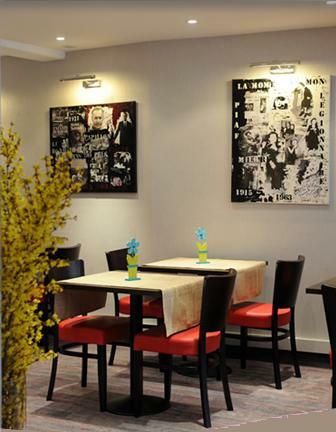 From Honfleur, you are 40 minutes from the breathtaking Etretat Cliffs and the town of Fécamp. 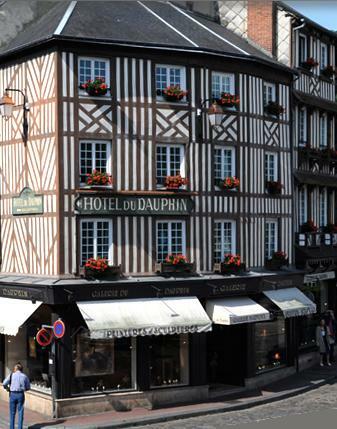 At the Hotel du Dauphin we do our very best to ensure a warm welcome in the true spirit of traditional hospitality. 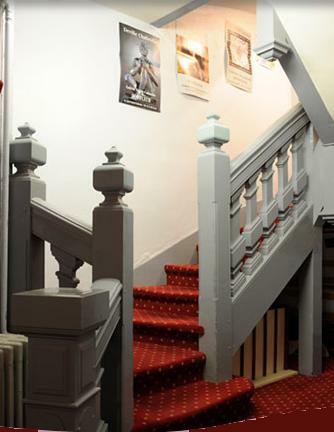 Getting to your room is like setting out on a treasure trail through a maze of staircases and small corridors. Each room has its own character from the simpler to the more roomy, but they all are decorated in soft shades and harmonies with each piece of contemporary furniture chosen with care. 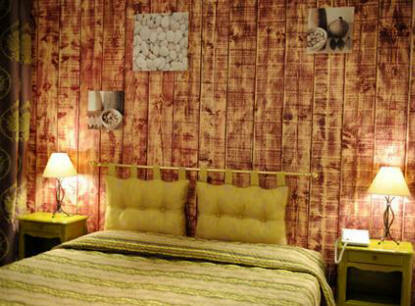 All the rooms have an en suite bathroom with shower or bath, hand basins, hair drier and W.C. In addition, some have a Jacuzzi - ideal relaxation after a long day discovering Normandy. With the "Small Suite", see life in blue and enjoy its small corner salon, its balnéo bath-tub and second bed in the mezzanine - ideal for a family stay. Additional beds and cots are available. Satellite television is in all the rooms, as is a direct dial telephone.